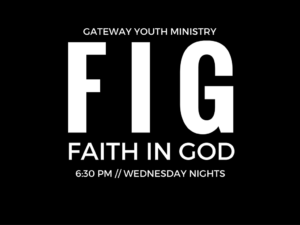 Gateway’s Next Generation Ministry serves students and their families from 6th to 12th grades. The Student Ministry meets on Wednesday’s at 6:30pm, with activities ending at 8:00pm! Students can enjoy discipleship, worship, games, and small group discussion.